Victorian Collar Elizabethan Neck Ruff Lace Royal Cospaly Accessory White/Grey. Dispatched with Royal Mail 1st Class. Beret Cap with Feather. 1 x Beret Cap. 100% Polyester. Black Satin Ruff, Elizabethan. New Without Tags. All fittings used in this set are GOLD PLATED. Elizabethan Ruff. Black And Gold. Used Once. Condition is Used. Dispatched with Royal Mail 2nd Class. New listingBeautiful Velvet And Damask Anne Boleyn Tudor Gown UK Size 8-10. This is a beautiful and historically accurate Tudor gown reminiscent of Anne Boleyn. It is made by Gina Clark at Tudor Dreams Historical Costumier. It features a silk damask kirtle with stunning jewelling, false attachable sleeves, velvet placard and a beautiful brown velvet over-gown with sumptuous faux fur sleeves. Necklaces and belt included. UK Size 8-10. It has only been worn a handful of times and is in fabulous condition. International buyers considered. Please message for a quote on postage. Fully tracked free postage only available to UK buyers. Comes from a smoke and pet free home. No returns. White or black lace tudor style soft ruff with ribbon tie at back. 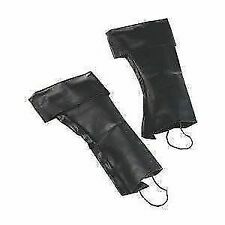 The great thing about boot top covers is that you can wear your own shoes and place these over the top - so not only is it cheaper than buying heavy duty boots but you won't get sore feet from the new shoes! Here we a a Tudor, Shakespeare, period costume, fancy dress neck ruff In white Handmade and designed by myself For other colours and designs please take a look at my other items! To the front is a large glass pearl which sits onto the forehead. This piece is also be available on a BUY-IT-NOW! This hat is based on a buckram frame which is covered in a fine red wool felt material, and lined in black. Great streampunk accessory. 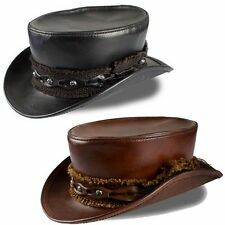 These hats are beautifully hand made to a very high standard, and come ready to be adapted to your own style. Re-cover, add a simple band, or full on decoration. 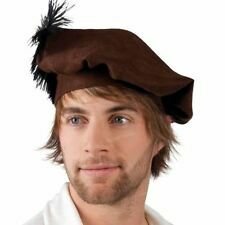 Ideal for theatre, dress up, festival or historical 're-enactment. Please see pictures for measurements. 61cm inside hat band. I have a number of these hats in a mix of sizes. Thanks for looking. 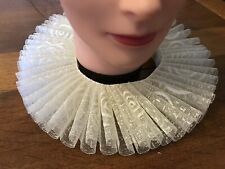 Elizabethan, Tudor, Renaissance, Shakespeare, Henry Vlll, Elizabeth l neck ruff. The neck stand is made from 1.5" (4cm)gross grain ribbon onto which the ruff is pleated. The length of the ruff is approx 16" (41cm)but can be adjusted to fit a larger size by loosening the ribbon ties at the back. With lace ties to the back and ornate beaded braiding detail for a truly unique look. 100% Polyester. Artisan made ivory organza neck ruff with long ribbon ties. Beautiful Black satin regency over dress/train. Accented with diamante. Will need to be worn over another dress. Is lined with black satin and edged with looped silver colour edging trim lining side as well. White taffeta circus neck ruff and cuffs set, pierrot clown, Burlesque costume. Here we a a Tudor, Shakespeare, period costume, fancy dress neck ruff In gold and red this is a one off item! Handmade and designed by myself For other colours and designs please take a look at my other items! Olive Green organza circus neck ruff, pierette clown costume. Artisan made olive green organza neck ruff with long ribbon ties. 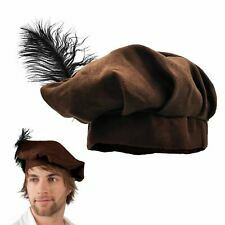 Here we a a Tudor, Shakespeare, period costume, fancy dress neck ruff this is a one off item so when it’s gone its gone! Handmade and designed by myself For other colours and designs please take a look at my other items! SACQUE & PETTICOAT. PAST PATTERNS 808. BUT CUT READY FOR USE. CUT BUT UNUSED. RECONSTRUCTING HISTORY. Includes pattern for collar extension, falling band, golilla, kerchief, whisk, matching cuffs. PAPER PATTERN. To fit neck 12"-17.5". Delightful woollen skirts made with tie-waists to ensure they are always a perfect fit and are comfortably suited to most periods. These pieces are made from a light green lightweight wool which hangs very well and can be suitable as either an over or under skirt depending on your needs. Beautiful Velvet And Damask Anne Boleyn Tudor Gown UK Size 8-10.